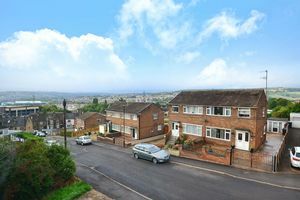 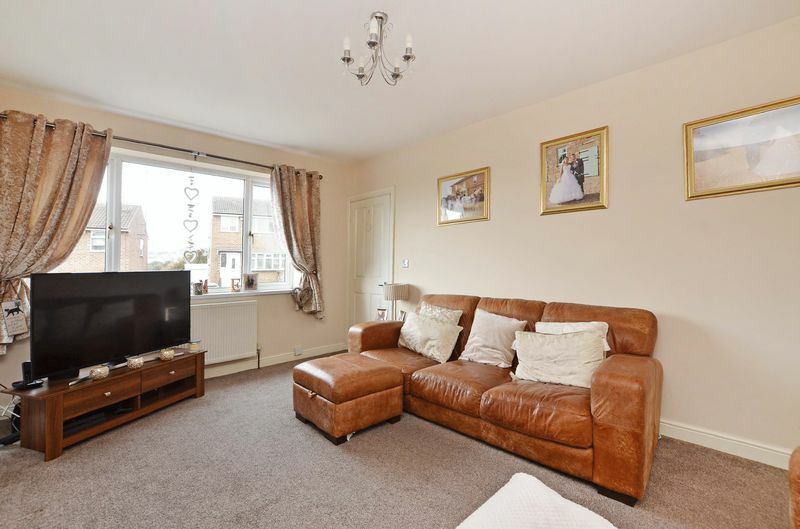 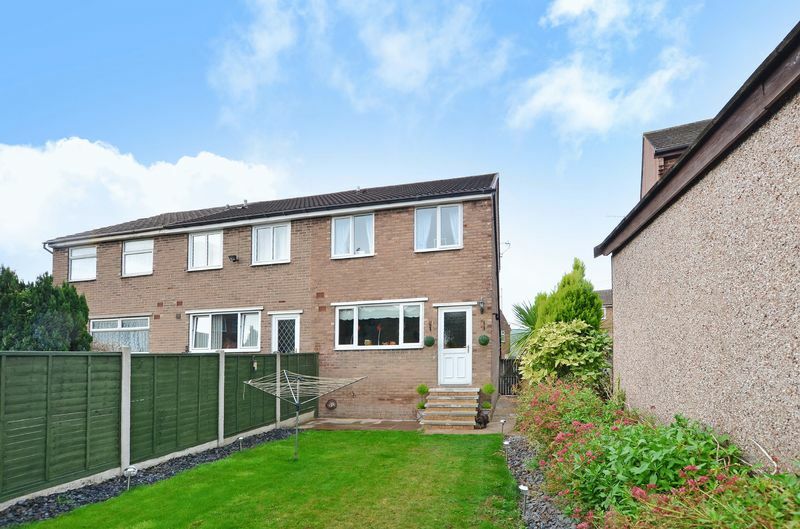 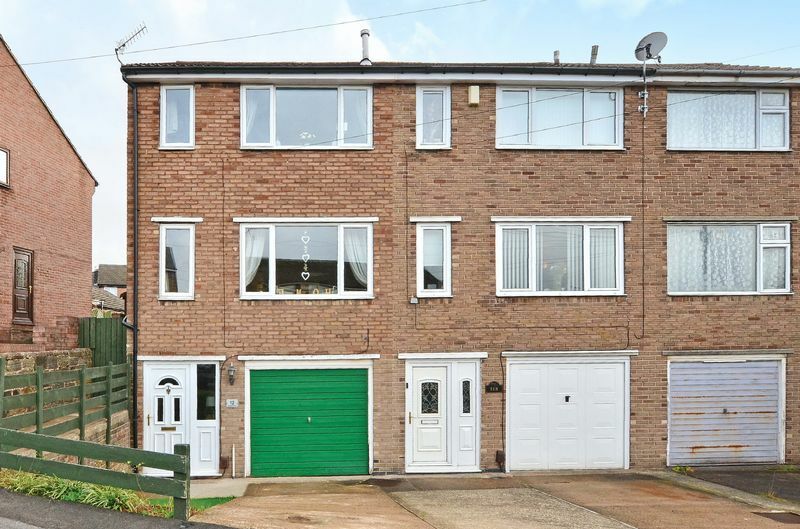 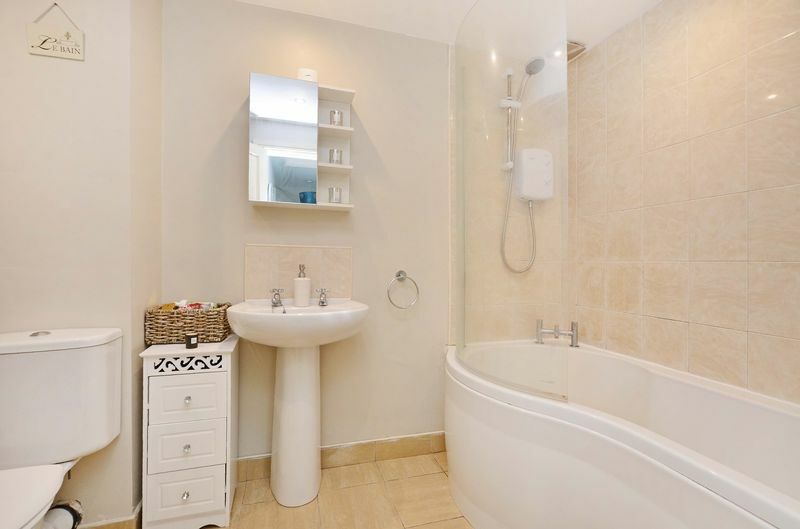 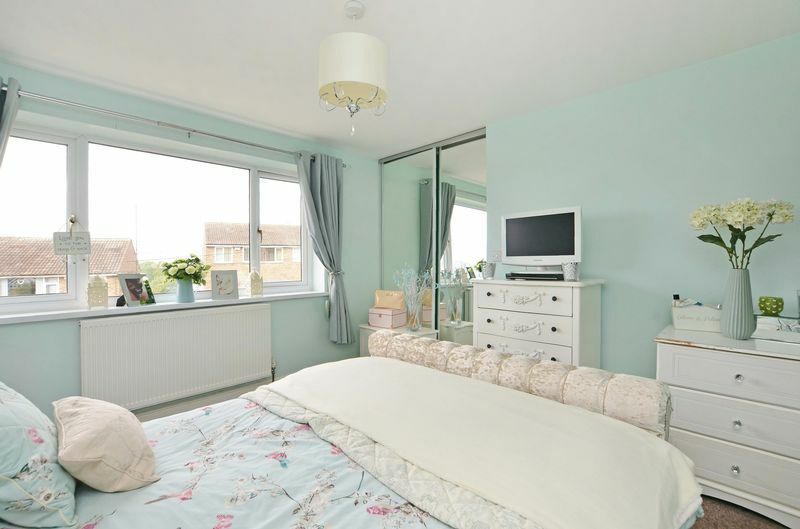 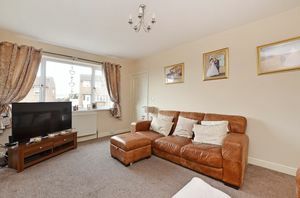 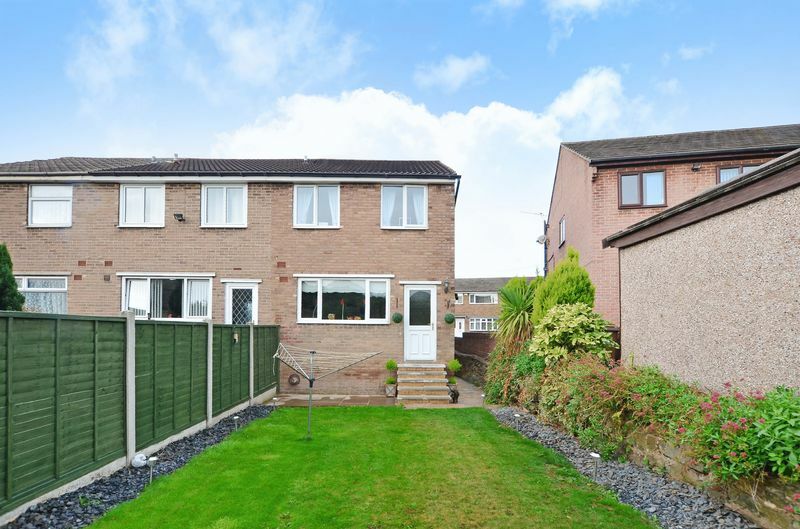 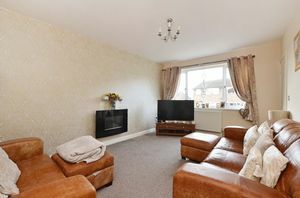 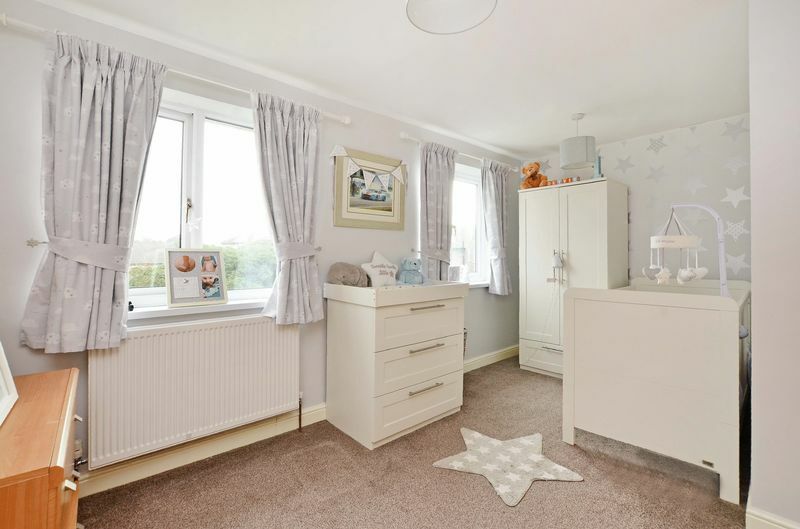 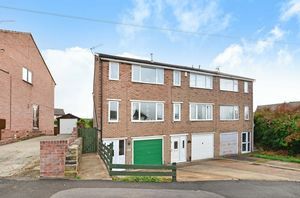 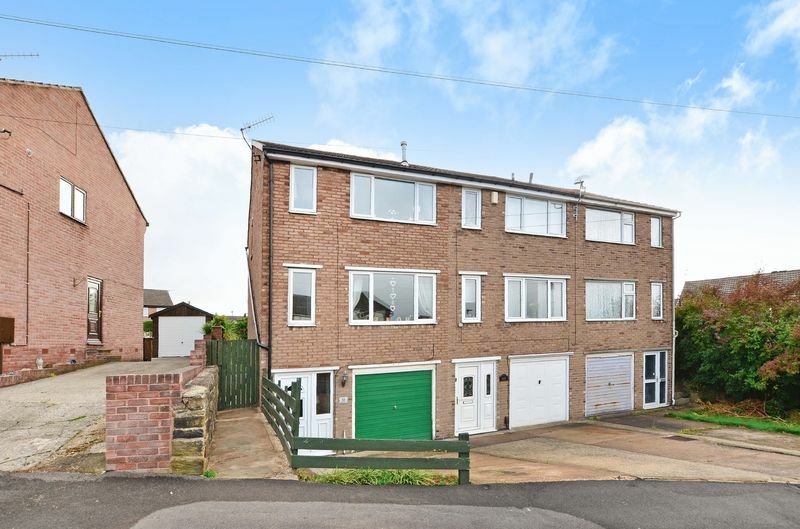 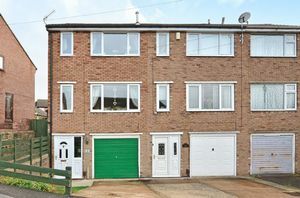 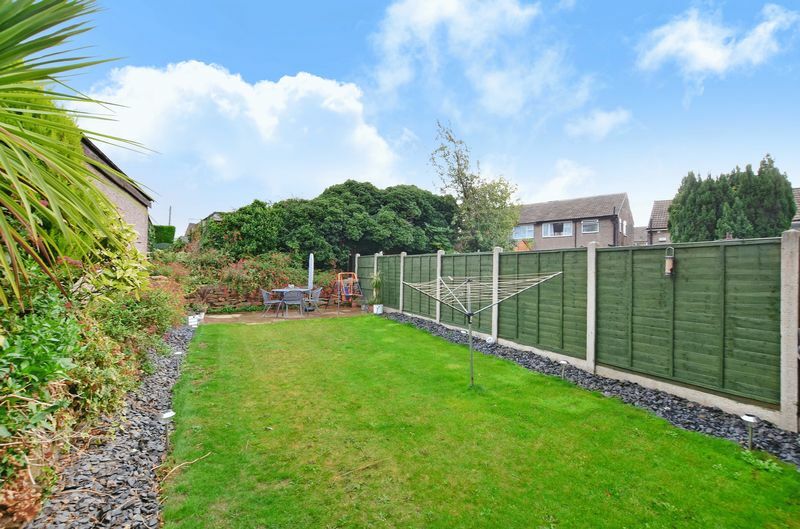 An extremely generously proportioned 2 double bedroom (formerly a 3 bedroom) end townhouse and garage with approximately 1100 sq ft of accommodation and the potential to convert the garage into living space subject to the necessary permissions. 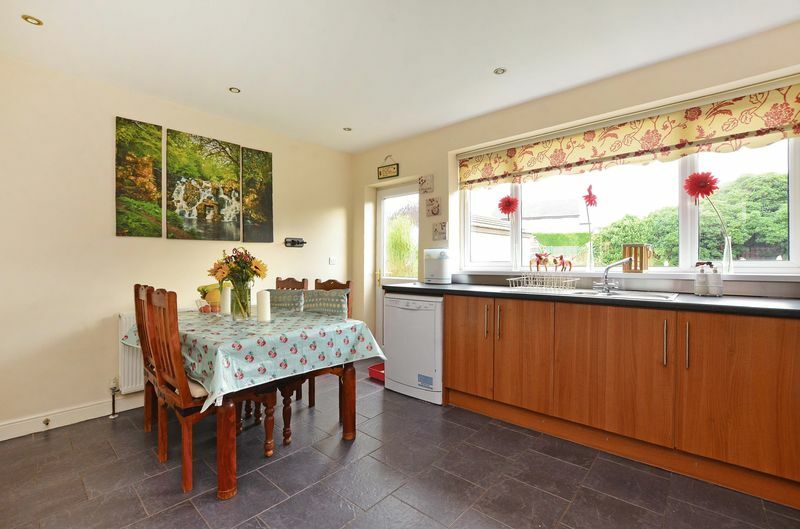 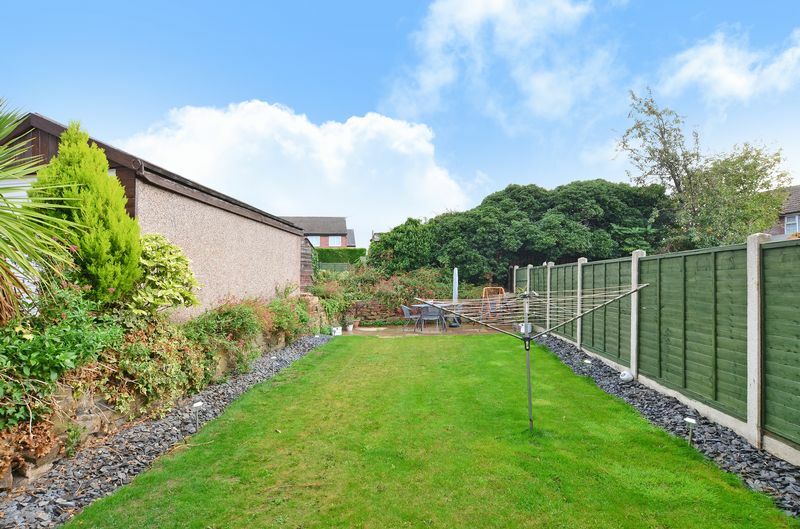 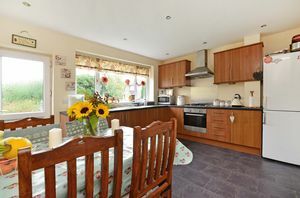 The property enjoys far reaching views, has uPVC double glazing, gas central heating with combination boiler and stands in generous level gardens. 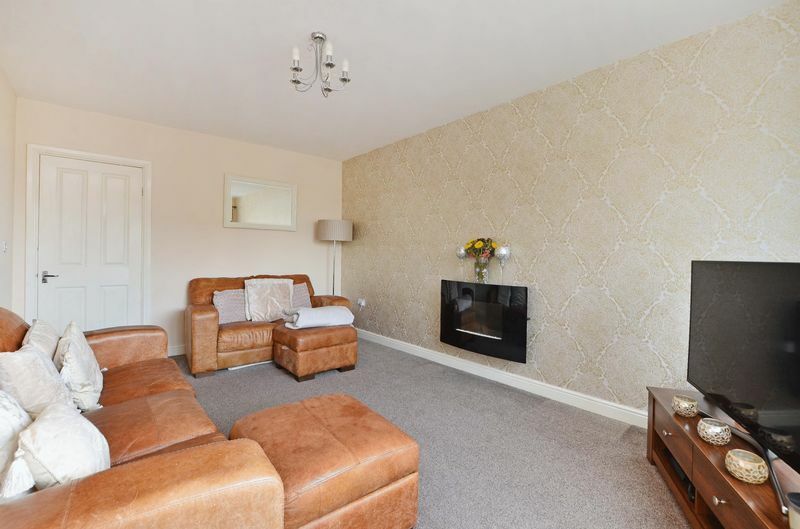 The accommodation comprises: Entrance lobby with tiled floor. 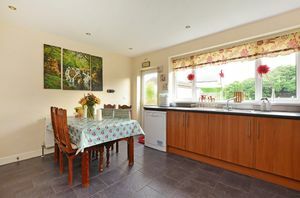 Staircase up to the dining kitchen having a range of walnut effect units, hob, oven, extractor, tiled floor, downlighters and door leading to the rear garden. Living room with lovely views towards Worrall and wall mounted remote controlled electric fire. 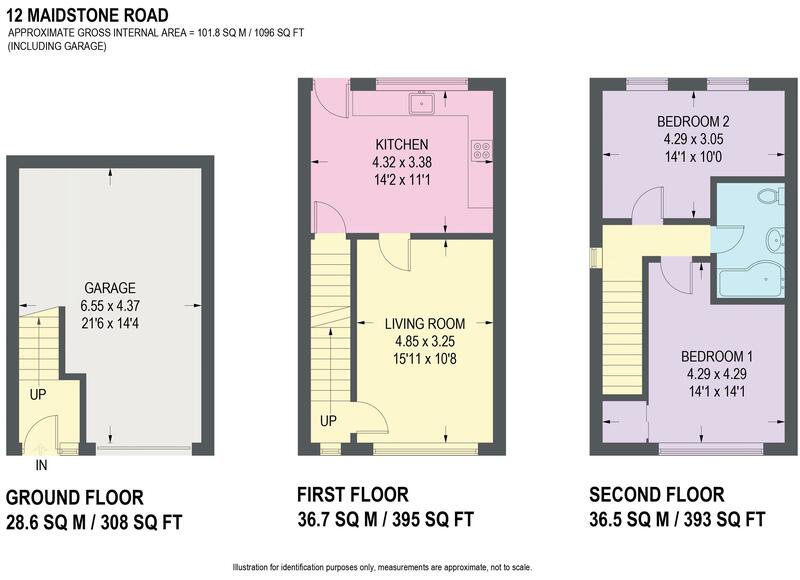 Inner lobby and staircase leading to the landing with access to the roof space. 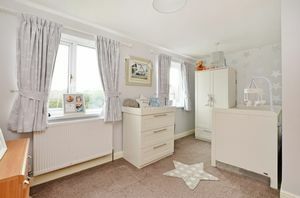 Bedroom 1 with excellent views and fitted mirrored wardrobes. 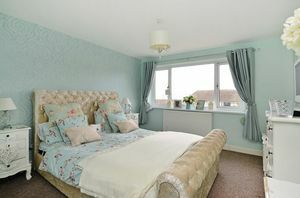 Bedroom 2 with two windows overlooking the rear garden. Bathroom having a white suite with electric shower, extractor, part tiling, tiled floor, shelving and chrome ladder radiator. 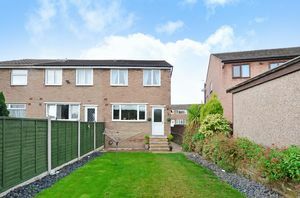 Lawned front garden and driveway to a generous integral garage. 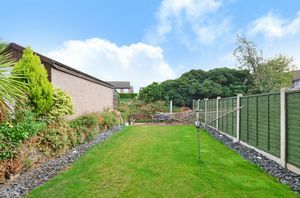 To the rear of the property is a generous lawn with slate borders and raised dry stone wall flower beds with a variety of shrubs, rear entertaining Indian stone patio, exterior tap and lighting. Maidstone Road is well-placed for local shops and amenities, local schools, recreational facilities and access links to the city centre, motorway, hospitals and universities.